New Mexico Attorney General Hector Balderas has issued a Scam Alert due to New Mexicans who use messaging services or apps to communicate with friends facing a new criminal hacking scheme. The victim believes he or she is communicating via a messaging service with a friend. Unfortunately, the other end of the message chain is being answered by an imposter who has hacked the actual friend’s account. A woman called the Office of the Attorney General yesterday to report a “friend” had told her about a new Health and Human Services program being offered to persons working, not working, or disabled. The “friend” informed the caller the program would send the caller $50,000 in exchange for a payment of $500 in taxes. Payment via gift card was required. The caller bought gift cards and provided the identification numbers to the scammer. When she realized she was being scammed, it was too late. The Office of the Attorney General advocates to help consumers who encounter scams, faulty products, and broken promises. 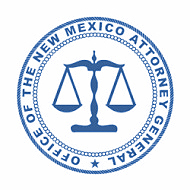 Those who think they may have been scammed can file a complaint at the Attorney General’s website at www.nmag.gov or call 717-3500 in Albuquerque, 490-4060 in Santa Fe, or toll-free statewide 1-844-255-9210.